San Diego is California’s second largest city – home to many beautiful sights, exciting attractions and historical points of interests. Old Town Trolley Tours, with 10 stops and more than 100 sights, offers a great way to see all the best of San Diego in 2 days. Stop A: is the first stop on the San Diego Tour and a great place to get off to see several of San Diego’s most visited sights. The Old Town Historic State Park, Market, Casa de Aguirre, Old Town Community, the Whaley House and the El Campo Santo Cemetery are all here. Give yourself an hour or two to explore and learn about the rich history of the city. Stop B: The Maritime Museum is something to see as it’s the home of the Star of India, the world’s oldest active sailing ship and other interesting exhibits. Give yourself about an hour to take a look around then be sure to take a self-guided tour of the Midway Aircraft Carrier Museum. Stop C: By this point you may be getting hungry and there’s no better place for lunch than Seaport Village. You’ll have your choice of many restaurants, time to shop in a variety of unique stores and enjoy the beautiful scenery of the San Diego Bay. You may even be witness to street performers, musicians and other live entertainment that take place here year round. A great way to end your first day in San Diego – a stroll through the Gaslamp Quarter, considered to be the historic heart of San Diego. Take your time as you view 16.5 blocks of buildings listed on the National Register of Historic Buildings. And if you didn’t grab a bite at Seaport Village, there are more than 100 bars and restaurants here for you to choose from. Stop F: Start your second day off by seeing the William Heath Davis House and The Chinese Historic District. 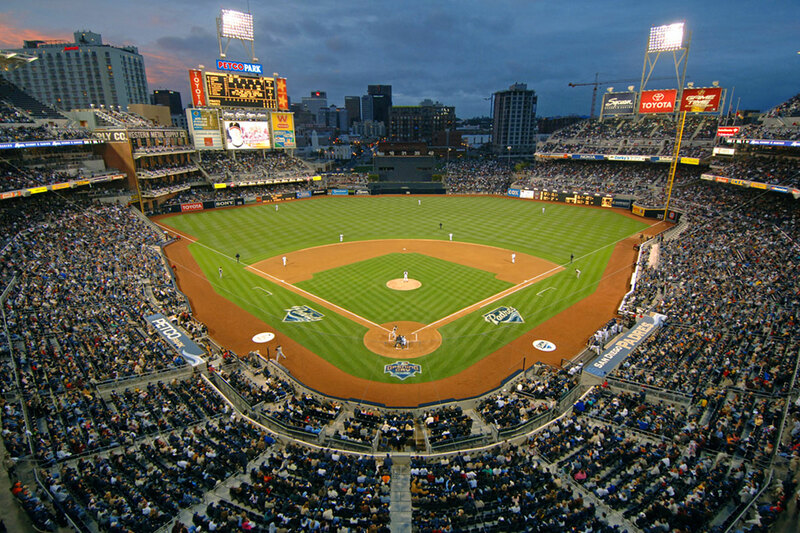 Stop G: If you’re a baseball fan, or even if you’re not, you’ll enjoy seeing the Petco Park baseball stadium, an architectural wonder as far as stadiums go and one that embraces the unique beauty of the city. Then, if you’re up for a short 15 minute ferry ride, hop on the Ferry to Coronado, where you’ll enjoy picturesque views of the city as well as browsing the many art galleries and specialty shops. If you choose not to take the ferry across to Coronado, no worries, the trolley will take you there. Hop off to get a closer look at The Hotel Coronado – a San Diego icon you’ll want to see while you’re in the city. There’s also a pristine beach if the weather is permitting and an array of restaurants and upscale boutiques. Stop I: Here’s a favorite of everyone who visits San Diego – Balboa State Park and the San Diego Zoo. If you’ve brought the kids along, feed them a big lunch at one of the restaurants right inside the zoo, then allow at least 3 to 4 hours for all of you to explore and enjoy the zoo, the park, the museums and the many interesting sights that reside here. It’s a perfect ending to your second day in San Diego. Your Old Town Trolley ticket includes 10 museums* – $20 value! *Some museums offer free admission. Others are free due to the partnership with Old Town Trolley Tours. Your tour ticket is proof of purchase for admission to these museums. Taking the Old Town Trolley Tour is the ideal way to see the most popular historic sites and attractions in San Diego – and you just did it all in 2 days!